Help us maintain our equipment and fleet! Capital athletes have benefited enormously from the generosity of past and current members, in both large and small amounts. This fundraising campaign challenges us all to invest in the club we love to ensure that we continue to have access to the equipment that we rely on and to provide a solid foundation for future members. We are raising money for equipment-related expenses, including new sweep and sculling oars and shoes. It takes $3,000 to purchase 4 sweep oars, 1 pair of sculling oars, and shoes. With 215 active fall rowers, we can meet our goal if every member gives $55, as a single amount or in recurring monthly donations. 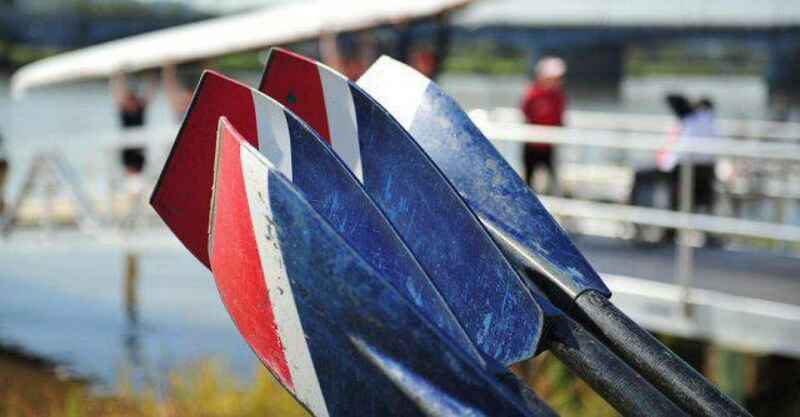 Your support will help reach our goal of $12,000 to provide oars, shoes, and other necessary equipment to keep our fleet in prime condition for all CRC members. Just as a note, Capital is a 501(c)3 non-profit and as such all donations to this fundraising effort are tax deductible. To push it over the edge. We donated in support of this campaign. I give because I love rowing on the Anacostia River! To support and amazing club and inspiring athletes! Go CARP! Go CRC Juniors!